BATH MATT COLORED SIZE 22" X 32" WEIGHT 300 GMS PER PC. BATH MATT COLORED MILL MADE FAST COLOR. ABSORBENT SOFT SIZE 22" X 32" WEIGHT 400 GM. PER PC. BATH ROBE COLORED TOWELING. FULL SIZE . SUITING ROYAL CHECKS . BLENDED YARN DYED SUITING. SUZUKI MILLS 58" WIDTH. RS 75 PER MTS. FREE DOOR DELIVERY ANYWHERE IN INDIA. ALL INCLUSIVE. LOWEST PRICE IN INDIA. SUITING ROYALCHECKS . BLENDED YARN DYED SUITING. SUZUKI MILLS 58" WIDTH. RS 75 PER MTS. FREE D..
BATH SHEET 3NOS BIG TOWEL PREMIUM COTTON WHITE FULL SIZE 36" X 72" WEIGHT 800 GMS PER PC. THREE PIEC.. POOL TOWEL BLUE AND WHITE PREMIUM COTTON SIZE 30" X 60" WEIGHT 500 GMS PER PC. POOL TOWEL BLUE AND WHITE STRIPE LUXURY MILL MADE, PREMIUM COTTON , SOFT, ABSORBENT , FE.. POOL TOWEL PREMIUM COTTON SIZE 36" X 72" WEIGHT 750 GMS PER PC. POOL TOWEL PEROXIDE BLEACHED, LUXURY MILL MADE, PREMIUM COTTON , SOFT, ABSORBENT , FEEL ..
BATH TOWEL 30" X 60" WHITE LUXURIOUS TOWEL FULL SIZE 30' X 60" S SOFT ABSORBENT. 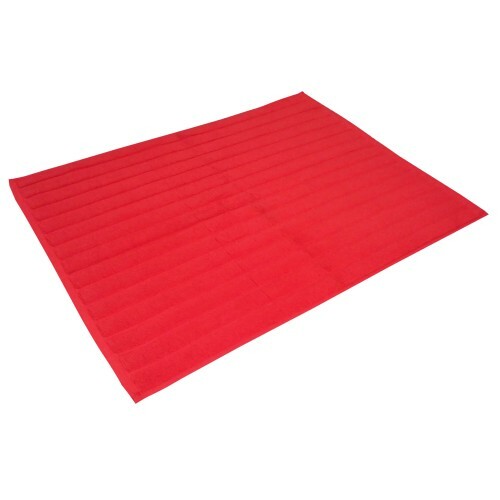 MILL MADE TOW..
BATH MATT BIG SIZE 22" X 34" HOTEL PREMIUM 400 GRAMS PER PIECE 900 GSM MILL MADE BATH MAT..
Mattress Sukoon Thickness 4"+ Both Side Quilted Health bed All sizes available- Single Bed 36" x 72"..
MEN'S POLO PREMIUM T SHIRTS POLYESTER COTTON BLEND KNIT BEST QUALITY STITCHING & FINISHIN..